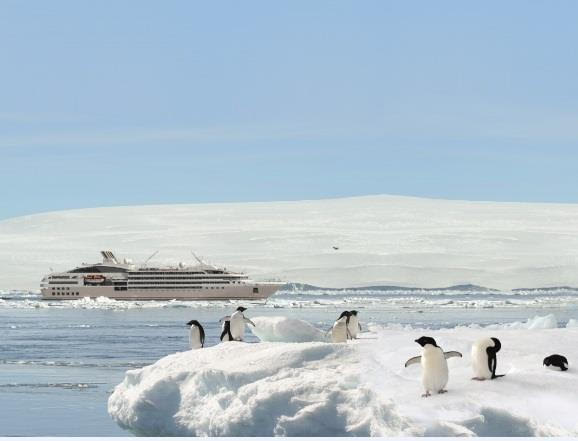 PONANT, has opened bookings for more than 22 departures to the Antarctic for the 2019-2020 season. A selection of five itineraries to discover the White Continent, including 1 that is all new. Between November 2019 and March 2020, PONANT has 22 cruises aboard 4 of its modern luxurious expedition ships: L'Austral, Le Boréal, Le Lyrial and Le Soléal; each voyage offering just 200 guests on each ship the opportunity to discover extraordinary landscapes and experience a unique adventure, sailing in the wake of the great explorers of these uninhabited lands. On The Antarctic Odyssey, a brand-new itinerary, Le Lyrial will be sailing to the South Orkney Islands, an extension of the Andean Cordillera. These islands, more than 85% glaciated, are home to leopard seals and numerous penguin species. For this new season it is not just one but three expeditions that will be taking PONANT guests beyond the polar circle, at latitude 66° 33' 39'' South. For increased convenience and peace of mind, a new premium package is available for all cruises departing from Ushuaia. It includes an overnight stay in the luxurious Arakur Resort, as well as an excursion to Tierra del Fuego National Park. Aboard superb limited-capacity vessels specially designed for expeditions, PONANT guests access the most remote parts of the globe in conditions offering unrivalled standards of comfort and service. 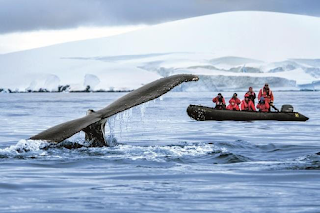 These expedition cruises to the polar regions provide many opportunities for landings ashore from Zodiac® dinghies in the company of expert naturalist-guides, in order to get as close as possible to the unspoiled natural surroundings, always with the utmost respect for this precious environment. With more than 20 years' experience in these remote regions, PONANT considers environment protection to be one of its highest priorities. 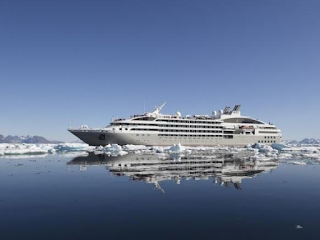 The cruise line carefully considers its itineraries, educates passengers and crew, and is an executive member of the IAATO (the International Association of Antarctic Tour Operators). The mission of the IAATO is to promote responsible tourism in the Antarctic. Experience a unique adventure in the wake of Jean-Baptiste Charcot, Adrien de Gerlache and Sir Ernest Shackleton, great explorers of these uninhabited lands. Discover exceptional landscapes in an incredible setting: glaciers, icebergs, ice floes, mountain chains ... And encounter exceptional wildlife: whales, seals, penguins, fur seals, albatrosses and other seabirds. 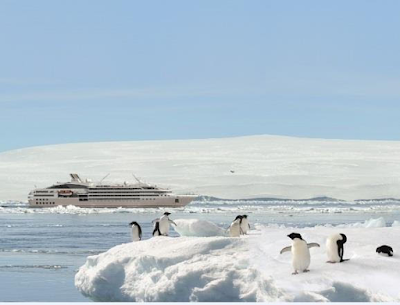 Set off with total peace of mind thanks to the experience of the global leader in Antarctic cruises: a fleet of 4 ships designed and certified for extreme regions, 20 years of experience in the polar regions, and more than 100 expert naturalist-guides. Benefit from charter flights from/to Buenos Aires to/from Ushuaia, transfers, full board, open bar and minibar on board, all lectures and Zodiac® landings with an experienced team of naturalist- guides. *Starting price, per person, based on double occupancy, port taxes included. This is a promotional price - the Ponant Bonus, varies according to the number of places sold for each cruise. The Bonus is likely to reduce over time, and even diappear, according to availability, without prior notice. Contact your travel agent, or PONANT on Australia: 1300 737 178 or + 612 8459 5000 / New Zealand: 0800 44 32 62, or email reservations.aus@ponant.com for bookings.